A Late Valentine’s Post: The Best Present I Ever Received! How Much Do I Love My Husband!! This post is almost a week late, but I just had to write it and share with everyone. Last Tuesday morning, at around 6:40 AM I was about to leave for an early meeting and surprisingly my husband was downstairs waiting for me by the kitchen table. Unusual for him, now that he’s retired, to be up that early but – I saw the card, the candy box, the roses and another package wrapped in pink and I knew why he was up! I hadn’t even wrapped his gift or signed his card yet – I thought I had ‘til the night time when we were going out to dinner to exchange gifts. He had that slight smirk on his face, so I knew that I had to open the gifts right away instead of later. So, I opened the card (which was lovely) and thanked him for the roses and the candy and then I tried to guess what was in the other package – but it had such a hard feel and a weird shape that I couldn’t guess by feel. When I opened it – I was so surprised…and happy beyond belief. It was the best present I ever got! 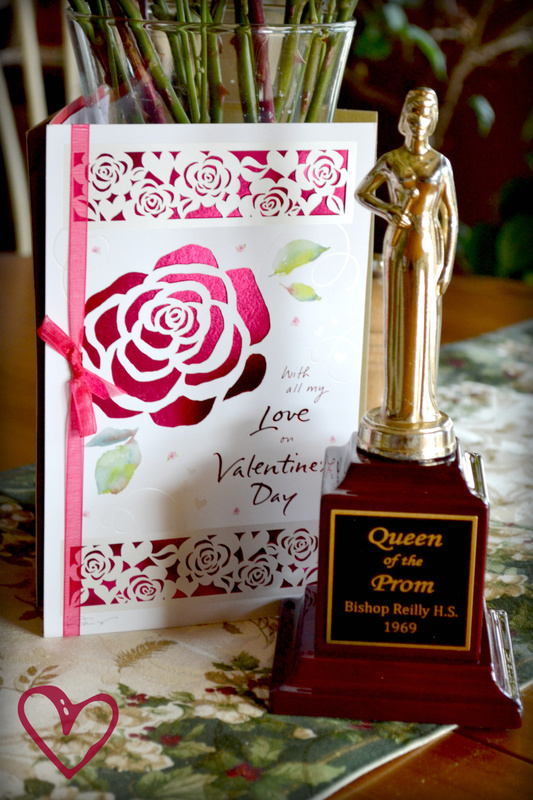 My husband took what was left of a trophy I received for being Queen of the Prom (hate to say it – but the year was 1969!). I only had the female figurine left after all these years and not the base with the plaque because my ex-husband broke it (don’t remember why he did that either). But I carried this little token of my beautiful past around with me maybe out of vanity – but more for just remembering some nice things that have happened to me in the past, I kept it in a junk drawer in my bedroom because I didn’t know where else to put it. Well for Valentine’s Day my wonderful husband found the figurine and went online to order a base for it and the plaque and he affixed the figurine on top. What a surprise! It was definitely the best Valentine’s present I ever got. 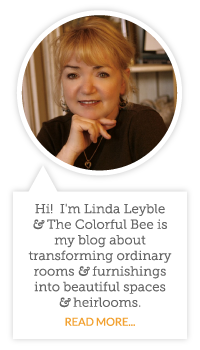 He took me to a wonderful restaurant that night – and although I was tired from working all day…I was the happiest woman in the place, still beaming about my lovely, thoughtful gift from my husband! Just a quick note about my ex-husband who broke the darn thing – we are still friends to this day and, in fact, his wife works with me and I consider her to be one of my best friends. She is a great person and she is one of my biggest cheerleaders. Unusual – yes I know…and, thankfully for her, my ex grew up and became a wonderful husband and father and he stopped breaking things!